Well, the house is 7 and a half years old now so it was bound to happen. I had actually been thinking about picking up a couple replacement springs a couple weeks ago. Jen had went to pick the kids up from the bus stop after school, when they got back from the bus stop and tried to open the door it would only open about a foot. So they ended up sitting on the porch reading books till I got home from work (Jen had left her cell phone and there is no way to get into the house short of breaking a window...) Once I got home we got into the garage through the other door and were able to check out the damage. Sure enough the spring on the left was in 2 pieces. The one on the right was still in one piece, but I thought it might be broken as well. I started to loosen the set screws on the springs and drums so I could take off the springs. I didn't let the tension out of the right one and I should have, because once it loosened up it released quickly. 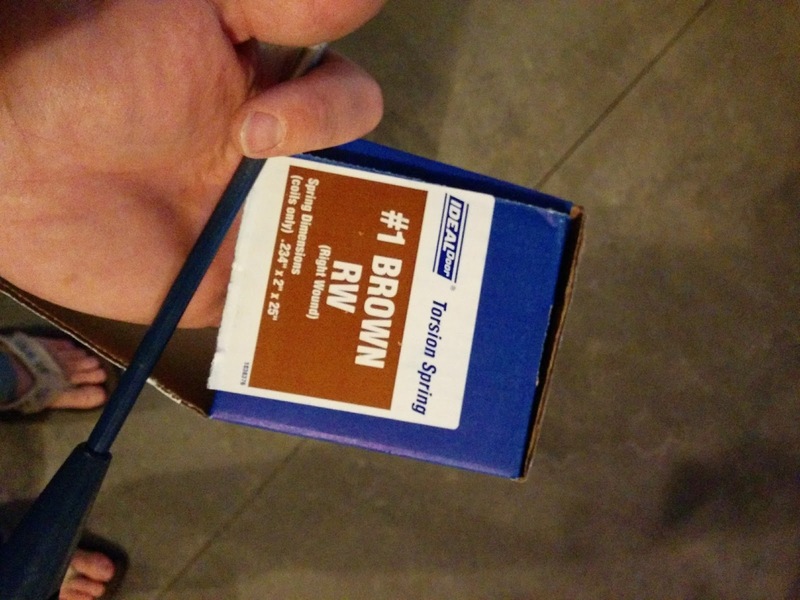 Off the Menards to pick up some springs, I took the old one to compare and finally found one that matched fairly well and picked up a Left and Right wound spring. $80 for the pair plus $10 for a set of steel bars to wind them (I had a pair but could only find one of them, of course I found the other one the next day). Once I had the springs it took about 30 minutes to put them up. The door even sounds better then before, I am not sure they were wound as tight as they should have been. 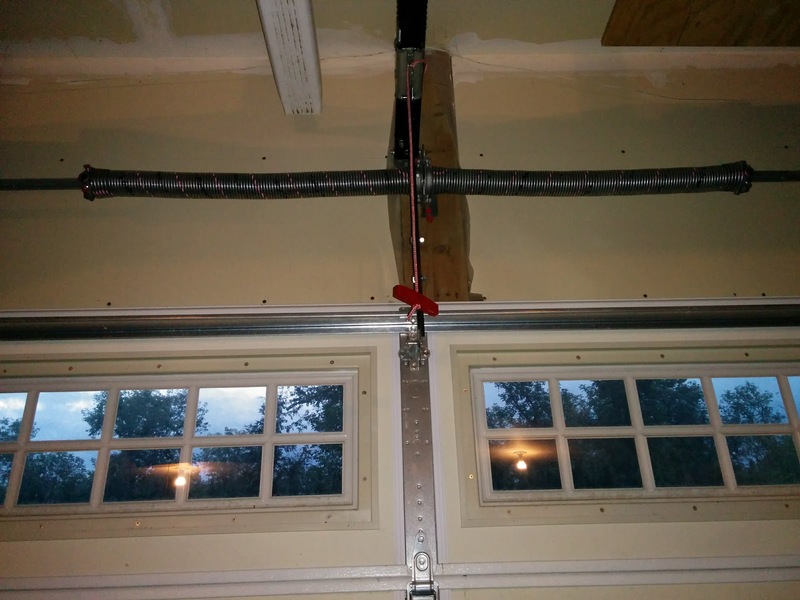 The lefthand / righthand winding confused me for a minute, till I looked at the directions and saw that the lefthand winding goes on the right side of the garage as you look out. Then that was easy. Working on torsion springs is a little nerve racking, but that is a good thing they can be dangerous. But if you are careful and take your time, I don't see why it isn't a DIY project. 8 years ago I hired someone to come fix springs at our old house, I will do everything to avoid that again. Get the proper garage door installation from Comfort Doors who is professional enough in providing the installation and repair services. 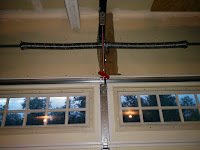 The company is known for offering the Garage Door Repair Vancouver and offers the services at a reasonable cost.